Kremlin spokesman Dmitry Peskov stated that the position of new US administration on Ukraine could promote the crisis settlement. MOSCOW (Sputnik) — The position of new US administration on Ukraine will become evident soon and it may promote the crisis settlement, Kremlin spokesman Dmitry Peskov said in an interview with the Vesti news outlet. “We will know very soon in what direction it will change, how it is going to transform, whether the new modality of US position on Ukraine will promote the crisis settlement,” Peskov said. The position of the previous US administration under former US President Barack Obama on Ukraine was unproductive, the spokesman added. On Monday, former US Vice-President Joe Biden met with the Ukrainian President Petro Poroshenko in Kiev. 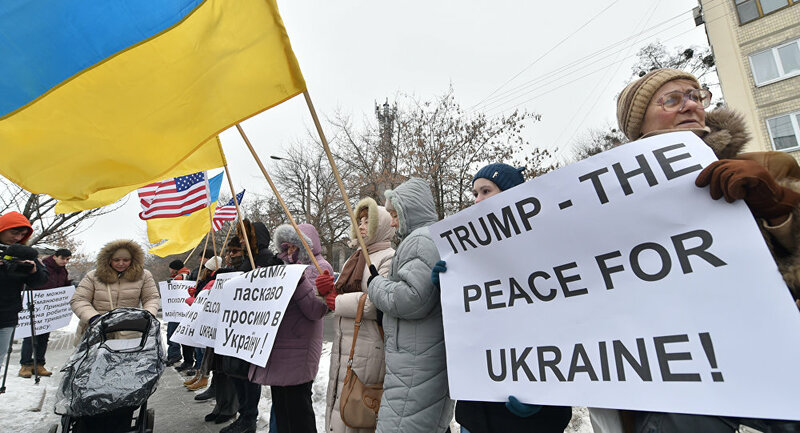 The US Embassy in Ukraine said the visit was timed to the 25th anniversary of US-Ukrainian diplomatic relations and emphasized the importance of US support of Ukraine. It was called into question after new US President Donald Trump assumed office on Friday.